Even corporate web design is fun for a nerd like me. But when you get to design a website for one of your favorite bands, well, that’s just super awesome. 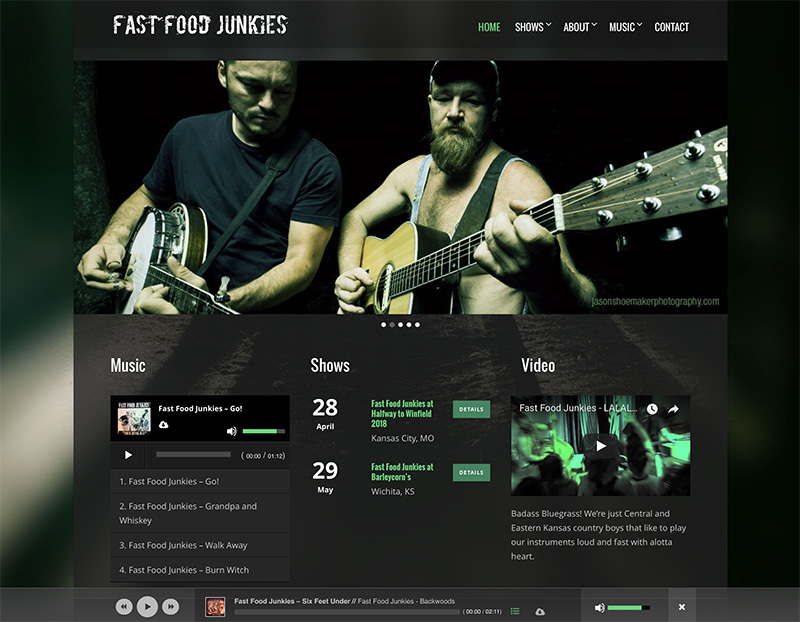 The Fast Food Junkies site is mobile/tablet responsive and features an active show calendar, a photo gallery, a downloadable flyers page for venues to easily create their own posters, an embedded music player, social media sharing, and a discography page showcasing their four albums. Pixel Lunch LLC also assists with maintaining the band’s social media accounts and their presence on music-related websites such as ReverbNation, Bandcamp, and more. 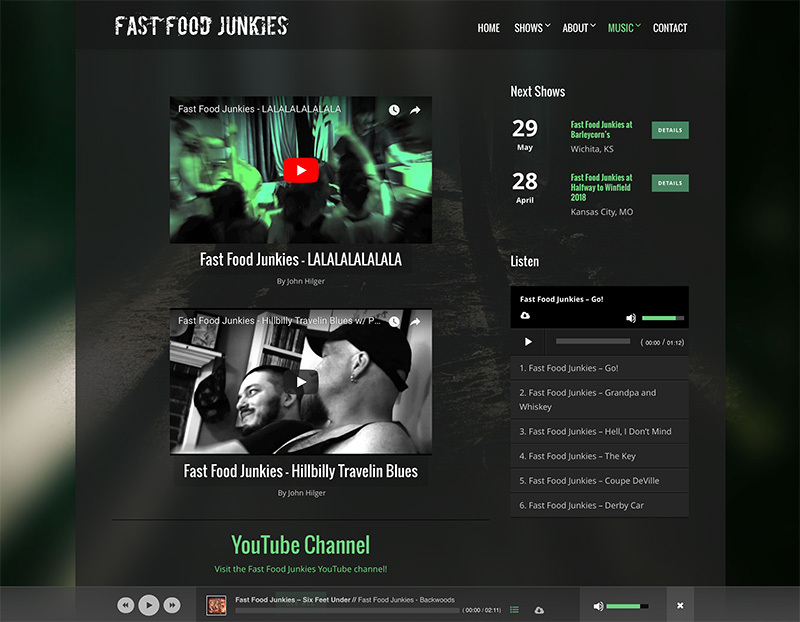 Most photography used on the Fast Food Junkies website by Jason Shoemaker Photography.